Kyle Henry has a new name, a new school, and a new life,one without the shadow of the Bonebreaker hanging over him. It's been a year since his serial killer father's execution, and it finally looks like things are turning around for Kyle. Until he recognizes the girl sitting in the back row in homeroom. Naomi Steadman is immediately intrigued by Killdeer Academy's newcomer. She does not know he is the son of the man who murdered her mother. What she does know is she and Kyle have a connection with each other,and a spark that Kyle continues to back away from. Soon after Kyle's arrival, the death count on campus starts to rise. 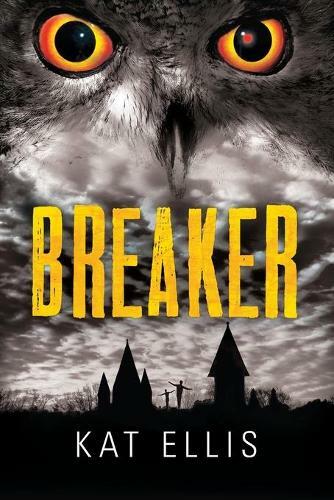 Someone is set on finishing what the Bonebreaker started, and murdering ghosts from the past may be the only thing that can stop the spree. Told in alternating viewpoints, Kat Ellis's tale of mystery and horror is full of broken bonds and new beginnings.